Conquering the last mile without breaking too much sweat while on your daily commute is a challenge that can be solved by public transport-friendly transportation devices such as skateboards and foldable bicycles. Bicycles would be a clear winner if not for its bulkiness, no matter how tiny it can be collapsed down. 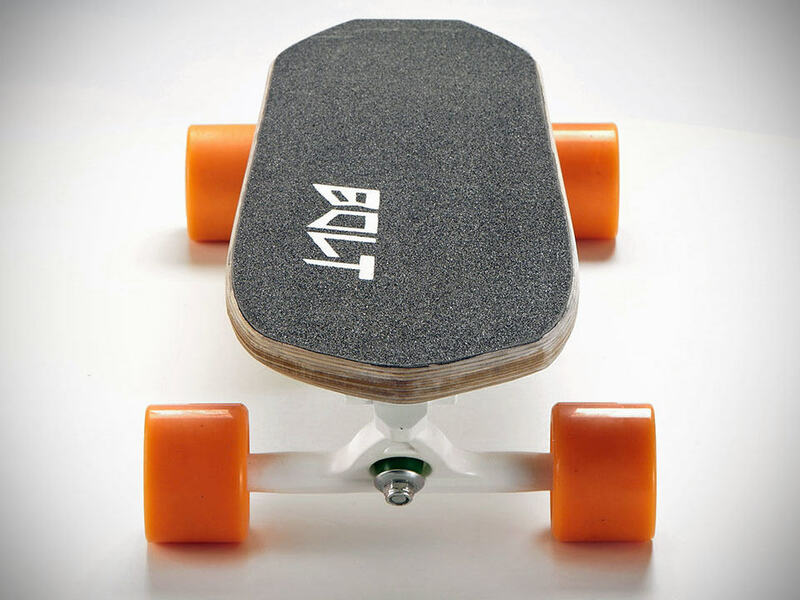 Even then with a skateboard like the longboard, it may be deemed cumbersome if the train is seriously packed. 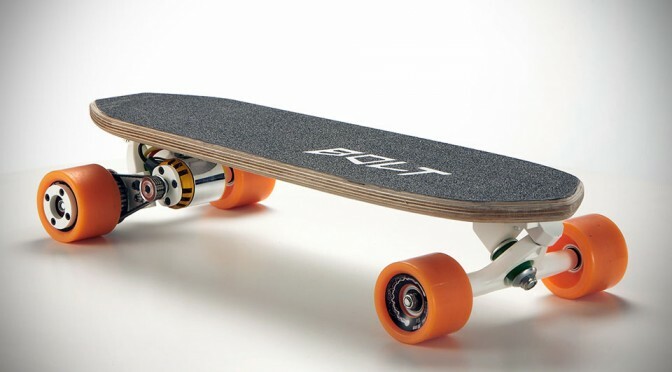 While a skateboard as compact as the Penny skateboard seems to be the most viable solution, there is still the kicking to deal with, but not if you are looking at the Bolt Electric Skateboard. 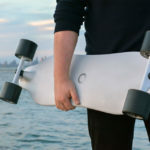 Developed by Milano-based Bolt Motion, this super compact electric skateboard measures just 23 inches and weighs in at mere 9 lbs, making it possibly the world’s lightest and smallest electric skateboard. In fact, it rightfully should be the world’s smallest electric vehicle that you could carry tied to your backpack. 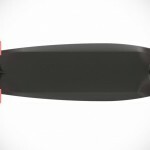 It may not as compact as the Penny skateboard, but it is as small as it could go for a full-fledged electric-powered skateboard. Powered by a 2,000 watts external motor with built-in sensor, Bolt makes a top speed of 13 mph (21 km/h) and features a neat design with the battery pack and necessary electronics tucked away inside its multi-ply wooden deck. Getting its 5,000 mAh lithium polymer battery pack to full charge takes an hour to ninety minutes, which will provide it with a range of 6.5 miles (10 km). 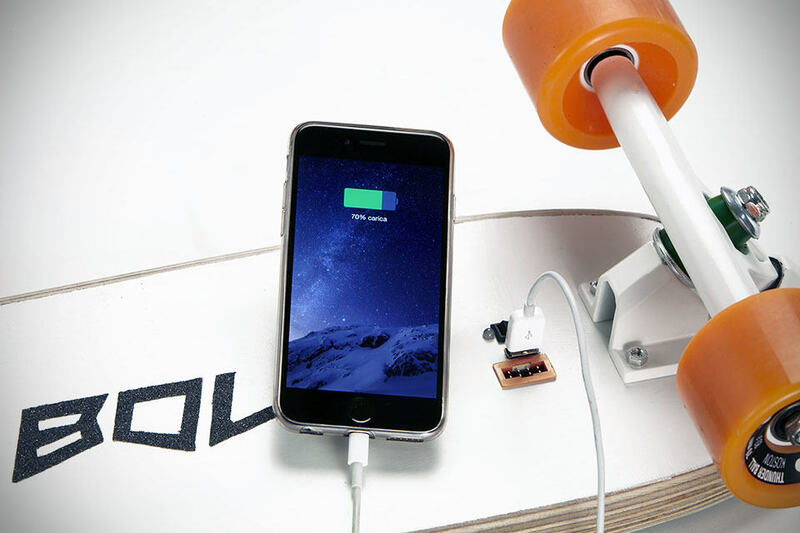 The same battery pack can also be use to charge your USB-powered electronic gadgets, such as your smartphone (of course! 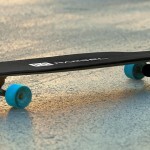 ), thanks to the built-in USB port which can be found under the deck along side the deck’s charging port. Control is via Bluetooth low energy with a simple handheld remote for now, but an app is in the pipeline to allow control using your trusty smartphone. 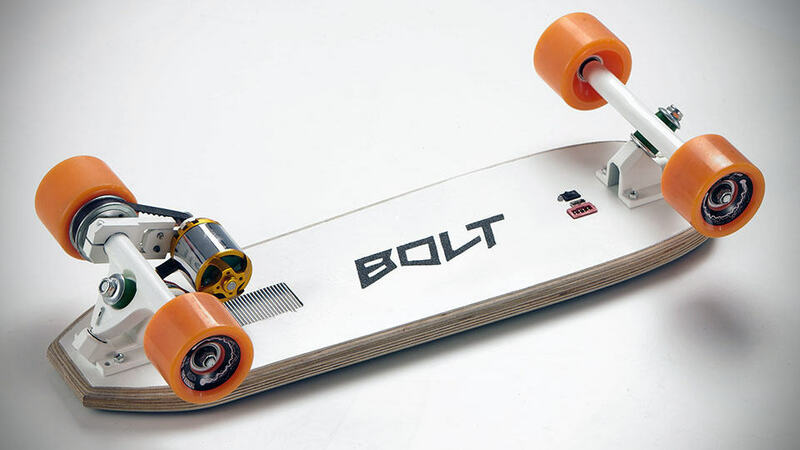 The Bolt might be small, but reliability and stability are assured through the use of full-size trucks and wheels and hence, the relatively odd-looking proportion, which kind of makes it look like the skateboard version of monster trucks. 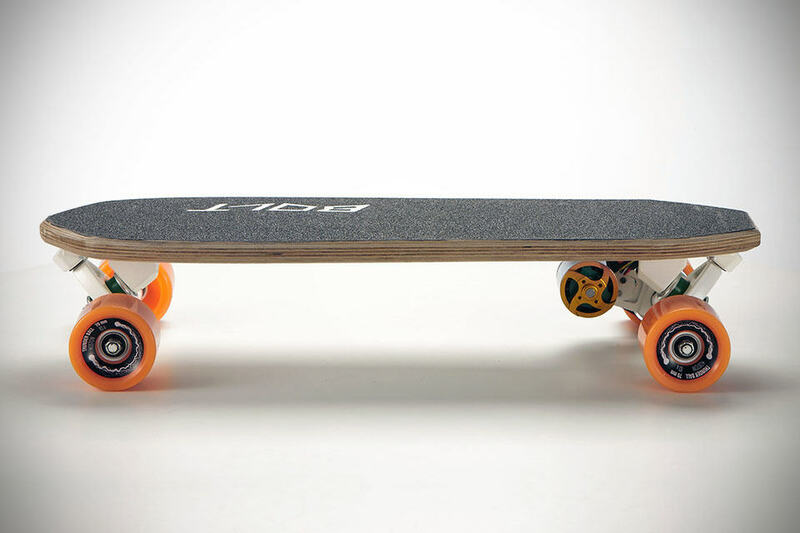 You can pick one up as a pre-order over at Indiegogo for an early backer-only price of $599. The campaign is on flexible funding, so you will get the board regardless of the funding status. Hit the jump for a product video to learn more and see this cute little electric vehicle in action. Note: It looks like it is running on an outrunner motor (we might be wrong though) and appears to be unprotected, which may raise some concern over it being exposure to the elements. The same goes to the charging and USB port. Even though Bolt Motion said that it could be use under light rain, we are not sure how the outfit is planning to protect those components from dirt and water that will inevitably reach the motor and the ports.